It’s amazing how mixing and swirling a few different colors of cake batter can completely transform a cake from boring to brilliant! Adorned with a green stem and all! Halloween is my favorite time of year to whip up new, exciting, and sometimes frightening recipes. 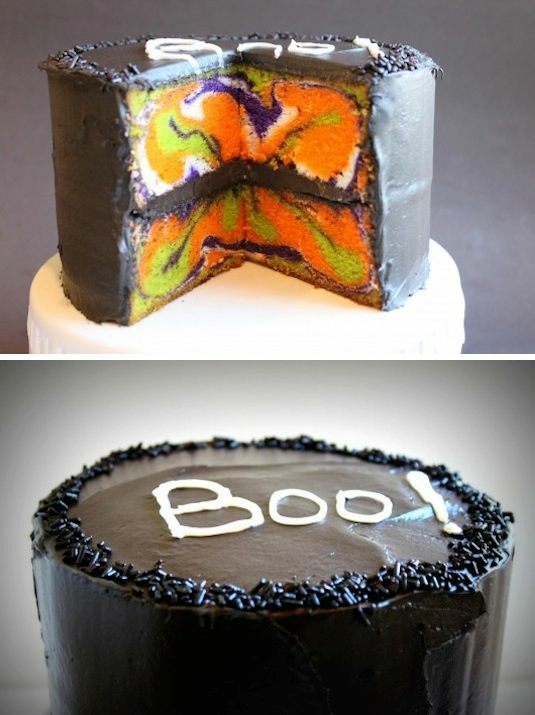 I have yet to master a good cake, but this one is definitely worth giving a try. 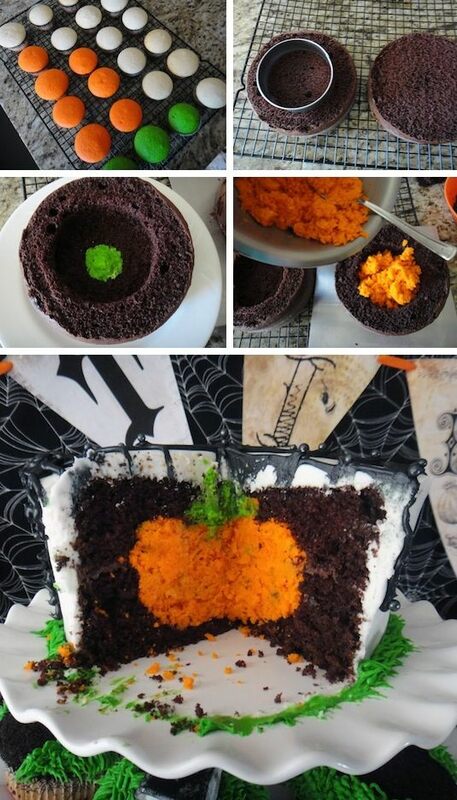 The dark chocolate cake is the perfect contrast to that bright orange pumpkin hidden inside! 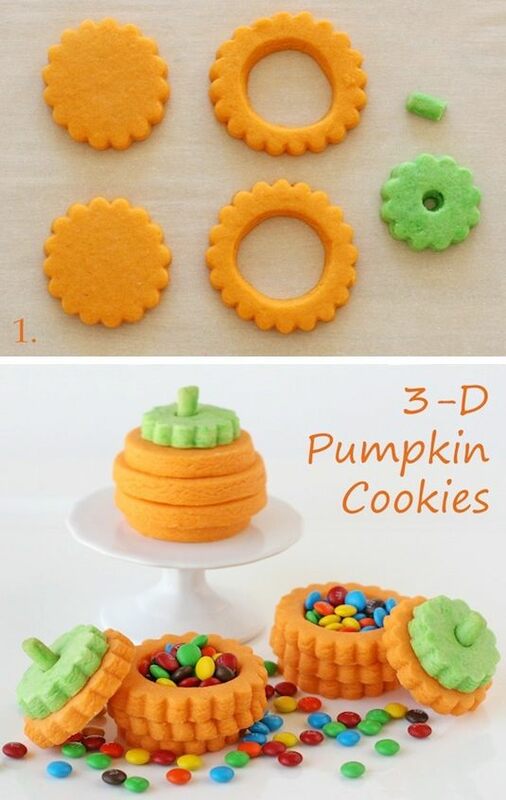 As if these 3-D pumpkin cookies are awesome enough, they are stuffed with candy as a fun surprise! I like the idea of wrapping these up individually in cellophane to keep them fresh, tying them off with a pretty ribbon and gift tag, and then giving them away as gifts around the holidays.